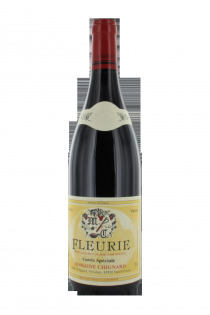 The field has made the Fleurie appelation his standard, with 8 hectares cultivated according to the methods of rational control. Chignard family is winemaker for 4 generations. 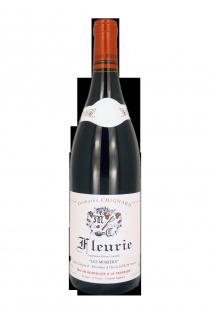 The exploitation is today led by father and son, Michael and Cedric, who operate 8 hectares of vineyards in Fleurie. The plots are cultivated with a low waist cup. Manually harvested, the grapes benefit from 8 to 10 days of fermentation, whole clusters before being vinified. The goal is to obtain fine and fruity wines with good structure. The field has two vintages. 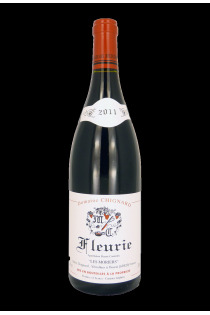 Fleurie from the local Moriers marked by floral aromas and flexibility in the mouth and the vintage "Vieilles Vignes" concentrated, with the length in the mouth, the tannins present and a great aging potential.